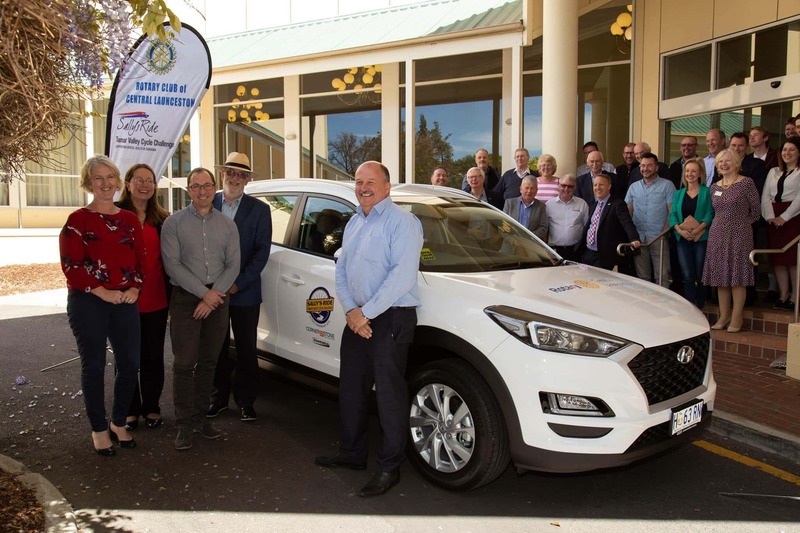 A $30,000 donation from the Rotary Club of Central Launceston have enabled Cornerstone Youth Services to purchase a car. The donation was made as part of Sally’s Ride: Tamar Valley Cycle Challenge. The car will be used to assist Cornerstone travel directly to their clients and other sites in North and North-West Tasmania to deliver mental health outreach. Rotary Club of Central Launceston president Jodie Lowe said they were proud to make the donation. “The issue identified was that outreach was really important for [Cornerstone], so that’s why the car was purchased,” she said. Cornerstone was the recipient of money raised as part of Sally’s Ride in 2017, which changes its chosen organisation every year. This is the second time Cornerstone has been the recipient of the fundraising ride. Sally’s Ride co-chair Alan Harris said the club admired Cornerstone’s focus on early intervention when it comes to youth suicide. “They identify the potential early and they get in and do things and their programs make a difference,” he said.